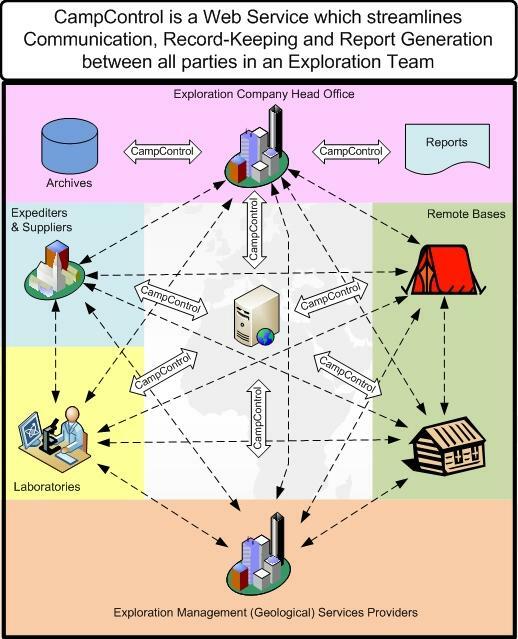 CampControl is a web-based system for the management of minerals exploration. CampControl was originally developed for internal use by Nugget Expediting, an exploration expediting company in British Columbia with more the 25 years of expediting experience. CampControl is now available for use throughout the world on a subscription basis. All logistics requests, and actions taken as a result of each request, are recorded in the CampControl database. This provides unprecedented management control over the logistics function, which is so important to effective exploration. CampControl is a modular system in which the Account Manager can create and remove users as the company’s needs change. It is even possible to place the system into “hibernation” mode during the “off” season to save on subscription costs. Using CampControl, exploration companies can choose whether to carry out expediting functions themselves, or to contract the responsibility to professional expediters. In the latter case, all that is required is the creation, by the Account Manager, of a User Identity and password for the professional expediter. Contact us if you need assistance in installing satellite Internet links in your camp.